Through all the planning, excitement, nerves and stress, the weather is always at the back of any bride’s mind. Brides fear bad weather and rain on the wedding day, but as wedding experts, we can say that it is not to be feared! In fact, a rainy day wedding can make the day even more memorable and the pictures dramatically more stunning. 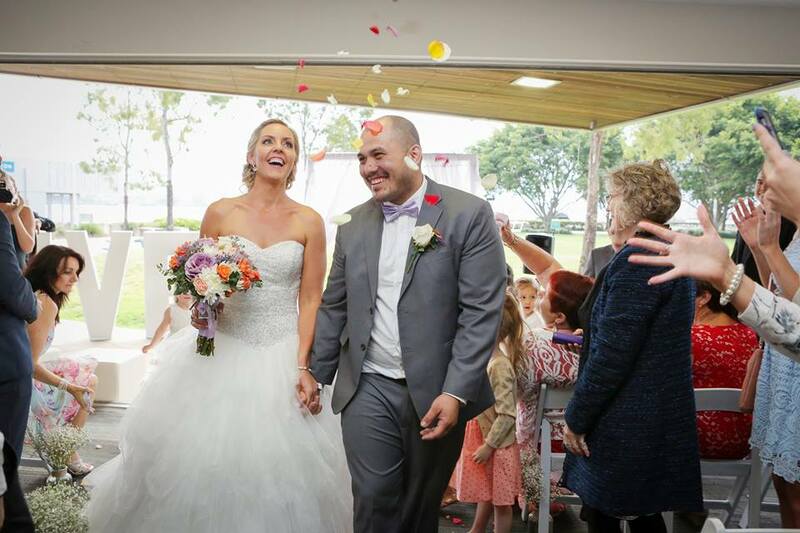 As an outdoor wedding venue in Brisbane, we’ve seen all sorts of wedding weather. 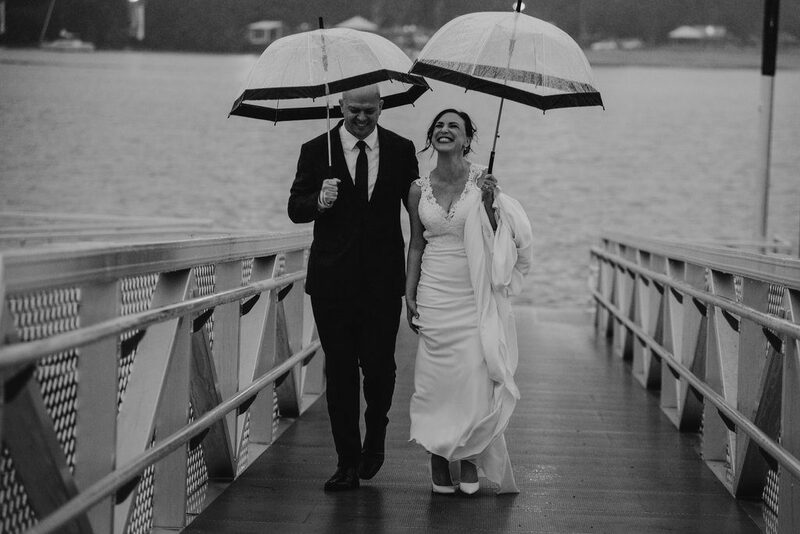 We have a few tips to share on how to deal with bad weather on your big day, should it decide to blow in. Be decisive in your wedding planning. Even if you’re tying the knot during the warmer months, it never hurts to have a contingency plan in place so that all bases are covered. Want an outdoor ceremony? Have an outdoor ceremony! 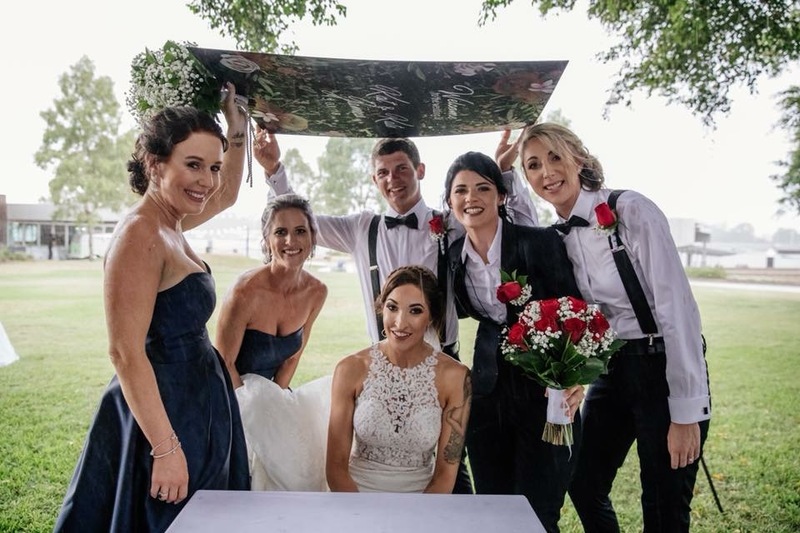 Bring out the waterproof makeup and tell your guests to bring umbrellas and some fashionable gumboots, because this is YOUR day and Mother Nature isn’t going to ruin it! Find an outdoor wedding venue that has open, covered spaces for the ceremony. 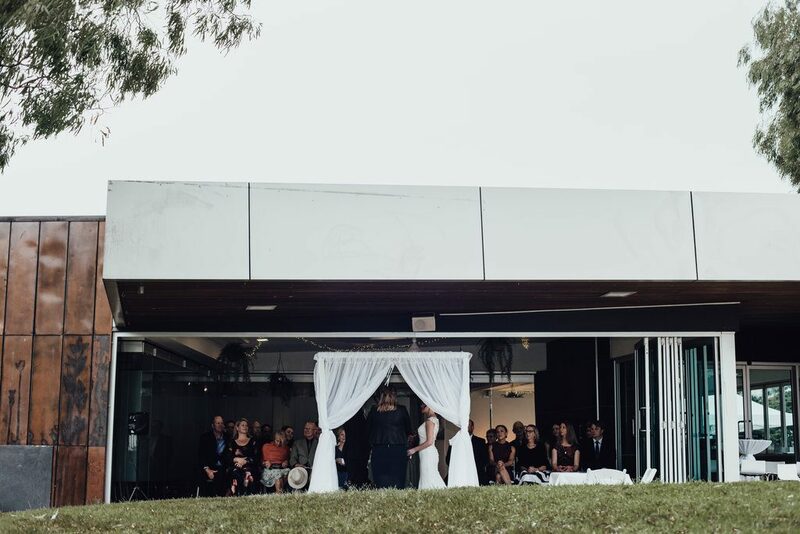 An option to consider is having an outdoor wedding ceremony, followed by an indoor reception, all at the same venue. 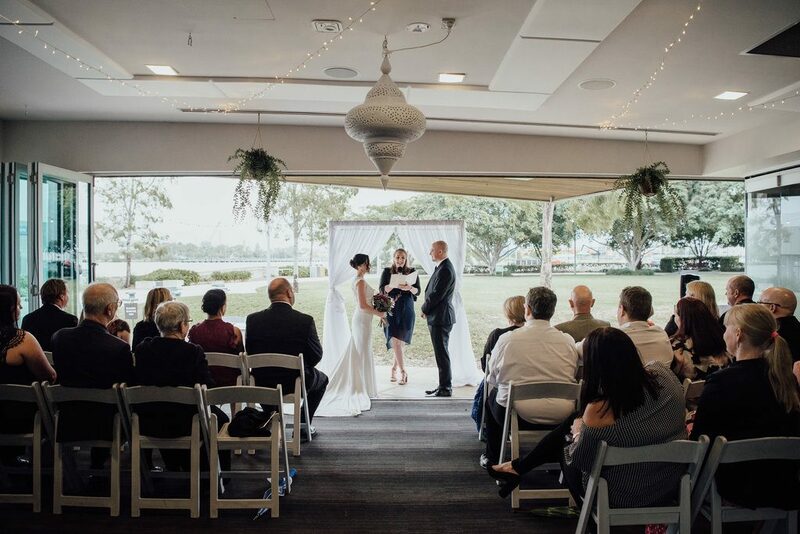 Northshore Harbour is one such wedding venue in Brisbane that offers indoor and outdoor space. As the stars of the day, your attitude sets the tone for the rest of the celebrations. You cannot predict or control the weather, so let it go and don’t let it rain on your happiness. Take the weather with humor and look at it as a blessing of good luck, and let the celebrations continue. Too many brides see rain as the ultimate enemy of the perfect wedding shot. On the contrary, a rainy day can make for some incredible photoshoots if the photographer is prepared with the right gear. 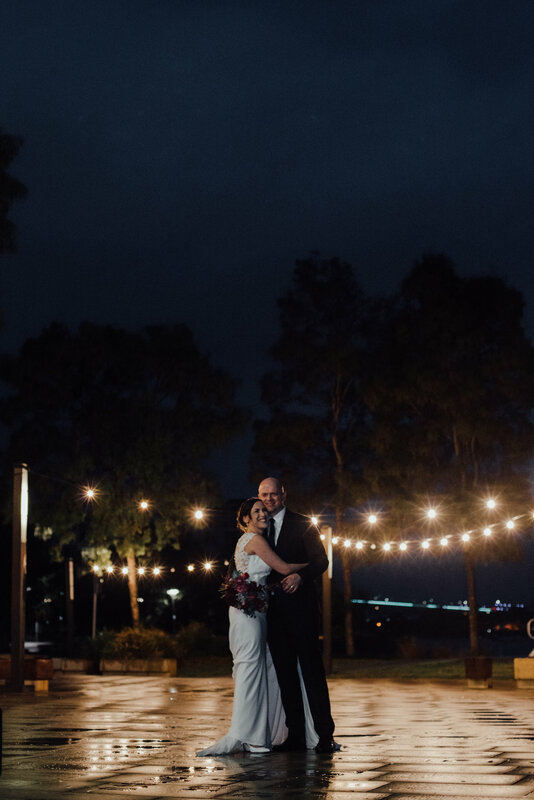 Rain and wind create the perfect opportunity for dramatic wedding photographs. Hire a venue that has both outdoor and indoor spaces. Keep your guests in the loop with an “in case of rain” note in your invitation. Discuss with your vendors a contingency plan. Use the opportunity for dramatic wedding photos. Give out umbrellas- check with your venue if they have them available. Create a warm environment with complimentary blankets, hot drinks, and heaters. Stay positive and embrace the rainy weather! Every wedding has had something that hasn’t gone according to plan. 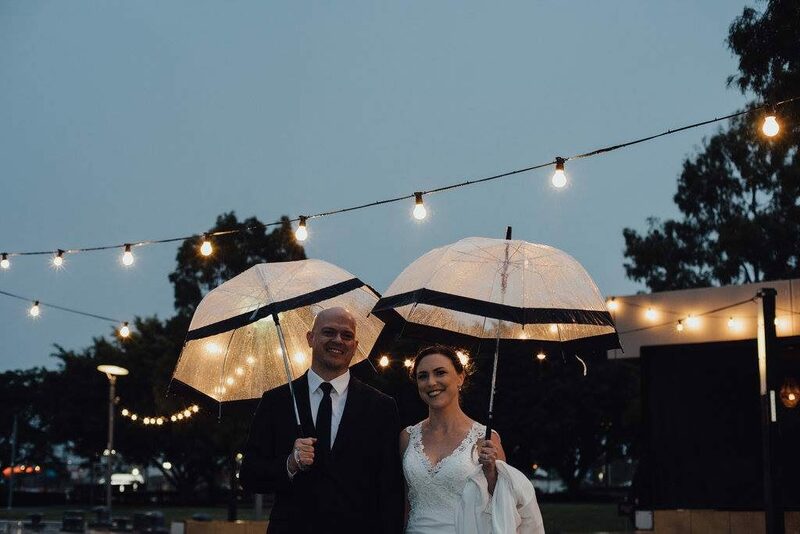 Bad weather, especially rain, is not ideal for your wedding day. But if you prepare for it, the day will be just as beautiful and memorable. You are marrying the love of your life. Rain or shine. Through sickness and health. Embrace the day, no matter the weather.